Plan the perfect trip to a zoo in PA! 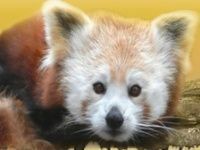 This list of Pennsylvania’s best zoos is an ultimate guide to the coolest and most family friendly zoos in Pennsylvania. 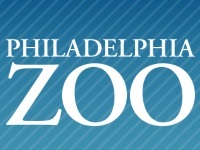 One of the best zoos in the US, the Philadelphia zoo is an amazing place to visit and will delight people of all ages. With more than 1500 animals from all 7 continents there's enough to see here to keep you busy all day. A wonderful idea for a day trip or family outing, this 42 acre park can also be seen from above in the Zooballoon, a hot air balloon which ascends 400 feet into the air and gives a view of the zoo like no other. The Philly Zoo is a great zoo for toddlers, teens, and adults making it the perfect destination for the whole family. Different attractions like Pony rides, the Amazon Rainforest Carousel and a camel safari will provide the kids with memoires that will last a lifetime. It’s quite possibly the most family friendly zoo in Pennsylvania, and it is open year round! 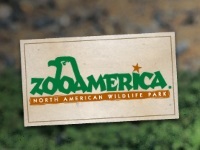 ZooAmerica is a great zoo for the whole family located in the heart of Hershey, PA. This zoo is home to more than 200 animals of 75 species. Its wide variety of educational tours and programs makes it the perfect weekend getaway for the kids. Whether you are looking to throw your little one a special birthday party, or you just want to take them out for an exciting and educational day, ZooAmerica is one of the coolest zoos in Pennsylvania. It is sure to provide you with a day of family fun. The zoo is always getting new arrivals, like Chief their growing black bear cub! If you are looking to visit a beautiful zoo in the Eastern PA area, look no furhter than ZooAmerica. Explore Nearly 400 Animals at this Western PA Zoo! Erie Zoo is the perfect zoo if you are looking for a place to relax and enjoy the beauties of nature. Erie Zoo, located in Western PA is a great place to unwind and enjoy all of nature’s beauty. This zoo is home to nearly 400 animals and 11 beautiful gardens making it one of the coolest zoos in Pennsylvania. A trip to Erie Zoo is family friendly and affordable; the cost for a child’s admission is $5.50 for children between the ages 2 and 12. Although many zoo goers come to see the animals, visitors are consistently surprised by the beautiful gardens throughout the zoo. The gardens are not only stunning to look at but they also provide a familiar habitat to some the animals. If you are looking for an awesome zoo in the Pennsylvania area, look no further than Erie Zoo. A Fun-Filled Zoo in the Poconos! Claws ‘N Paws is unlike any other zoo in the Eastern Pennsylvania area. This zoo is great for toddlers and kids of all ages providing children with a chance to get close to the animals! They have over 120 rare and exotic species. They offer two different live animal shows every day from May 1 through Labor Day. The Wildlife Encounters Show gives the audience a chance to pet an alligator and a python! If you are looking for a great petting zoo in PA look no further than Claws ‘N Paws. 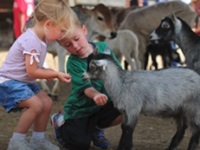 Their petting zoo allows the kids to go right in with tame deer, lambs, and goats. Your little ones can pet the animals and give them a hug! Claws ‘N Paws is a wonderful family friendly zoo located in the Pocono Mountains of PA! 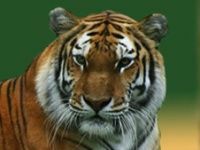 A Great Non-Profit Zoo in Eastern PA! Elmwood Park Zoo is located in Norristown of Eastern Pennsylvania. This zoo is one of the best zoos in Eastern PA because it is dedicated to fostering appreciation for wildlife and the environment. Elmwood Park Zoo believes a strong appreciation for wildlife and environment will lead to active participation in conservation. This zoo is fully owned and operated by the Norristown Zoological Society and maintains a collection of over 100 species. Some species featured include Amphibians, Birds, Fish, Reptiles, Mammals, and Invertebrates. This wonderful family friendly zoo in Pennsylvania hosts many different events for the little ones of the family as well. 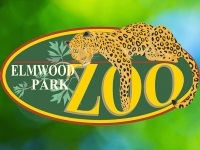 Elmwood Park Zoo is also available for children’s birthday parties and weddings in PA. This zoo truly has it all, family fun, events, and educational adventures all located in Eastern Pennsylvania. A Fun Zoo in Central PA! 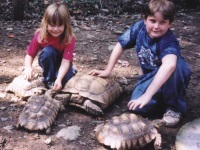 Lake Tobias Wildlife Park located in Central PA has been open for over 50 years. This zoo is a unique and affordable family attraction that gives its visitors the opportunity to interact with mammals, birds, and reptiles. Lake Tobias Wildlife Park is one of the best zoos in Central PA because they provide friendly customer service from the moment you walk through the gates. They have one of the best petting zoos in Pennsylvania offering a collection of friendly animal friends. Their baby animal program also has a variety of newborn animals all throughout the season. 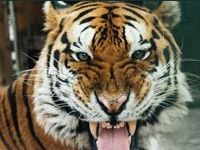 If you are looking for a family friendly zoo in PA, or a wonderful petting zoo in PA, look no further than one of the best zoos in Central Pennsylvania, Lake Tobias Wildlife Park. The Best Reptile Zoo in Pennsylvania! Clyde Peeling’s Reptiland is a zoo located in Allenwood PA that specializes in reptiles and providing fun for the whole family. Visitors are able to view exotic reptiles and amphibians from all around the world nestled away in stunning, naturalistic habitats. Some of these less-loved members of the animal kingdom include Mambas, Cobras, Vipers, Pythons, the Waxy monkey frog, the crevice spiny lizard and the American Alligator. Their newest exhibit, Island Giants, features a stunning recreation of a dragon habitat that is home to two beautiful Komodo dragons. These dragons are the world’s largest lizards and are only found on a few tiny islands in Indonesia. The exhibit mimics the lizard’s actual habitat with extreme heat, deep soils for digging, native grasses and wildflowers. The 3,000 square foot facility will also be used for breeding to protect this endangered species. With exciting exhibits, exotic reptiles, and good family fun, it is no wonder why Clyde Peeling’s Reptiland is one of the coolest zoos with reptiles in PA.
A Great Zoo and Aquarium All Rolled into One! The Pittsburgh Zoo and PPG Aquarium, an aquarium and zoo located in Pittsburgh PA, is one of only six combinations in the United States. The zoo was founded on the goal to foster positive lifelong connections between animals and people. Their exhibits, educational programs, and conservation projects ensure the Earth remains a suitable home for all types of life. This zoo has wonderful educational programs for children of all ages. Some of these programs include Kidscience, Zoo U, and their summer volunteer program. Kidscience allows students from grades six through eight to become a part of the Zoo’s research team; Zoo U lets kids from grades nine through twelve take classes, and children through the ages of fourteen and seventeen can volunteer at the zoo. Pittsburgh Zoo and PPG Aquarium is an educational zoo in Pittsburgh PA. Living Treasures Wild Animal Park is a zoo in New Castle PA that was founded by Tom Guiher and his two small children. New and improved exhibits have been added every year since they opened in 1992. This zoo provides every animal with a sanctuary that is available to them at all times. They provide their animals with more than double the space required by the department of Agriculture. Unlike other zoos, Living Treasures Wild Animal Park allows and encourages their visitors to feed the animals! Their interactive zoo experience is perfect for the whole family. At Living Treasures Wild Animal Park visitors can pet the animals, feed the animals, and get closer to them than ever before. This family owned and operated zoo understands the value of family memories made at the zoo and they want to be a part of new memories every year. Their uniquely interactive experience and their love for animals make Living Treasures Wild Animal Park one of the best zoos in Western Pennsylvania. See Over 250 Animals Up Close and Personal! Lehigh Valley Zoo is located in Schnecksville Pennsylvania provides visitors with an unforgettable experience of education and fun. From April 1 through October 31 the zoo is open from 10 A.M to 4:00 PM, and from November 1st through March 31st the zoo is open from 10 A.M till 3 P.M. During the Holiday season, the zoo hosts their Winter Light Spectacular with many different holiday events. Lehigh Valley Zoo provides the entire family with fun and excitement while also educating them on different ways to preserve and conserve the environment these precious animals live in. The fun doesn’t have to stop once the trip to the zoo is over. Lehigh Valley Zoo also provides after school adventures, zoo camps, school holiday camps, and summer camps to keep the education flowing. Lehigh Valley Zoo has so much to offer ever visitor, it truly is one of the best zoos in Pennsylvania. Penn’s Cave and Wildlife Park is a wildlife park and cave located in Central PA. This is the only cave in Pennsylvania allowing visitors to take boat tours throughout the cave. They also offer farm, nature, and wildlife tours. The 90 minute tour is given by bus through the Penn’s Cave grazing pastures, mountain trails and forests. On this tour visitors can see bears, wolves, elk, deer, bobcats, bison, mustangs, as well as the wildlife park’s icon, the mountain lion. This tour is sure to entertain and educate you. Their gift shop, sells bags filled with beautiful semi-precious stones form all around the world, fossils, and arrowheads. 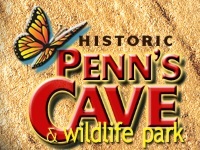 If you are looking for a cool zoo in PA look no further than Penn’s Cave and Wildlife Park in Centre Hall PA.
See Over 600 Birds From all Around the World! The National Aviary is the country’s largest Aviary located in Pittsburgh PA. They are open daily 10 A.M- 5P.M. This zoo is home to a diverse collection of birds representing every continent except Antarctica. Some species featured at the National Aviary include Abdim’s Stork, Black Vulture, Canary, Cattle Egret, Orange Bishop, Scarlet Macaw, and many more. 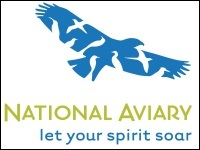 The National Aviary is also available to book for different events such as weddings, meetings, children’s birthday parties, and corporate events. Different exhibits like The Canary’s Call are educational and entertaining. If you want to teach the kids something new, or you want to give them a unique birthday party at a venue they will never forget look no further than the family friendly zoo in PA, the National Aviary. View Exciting Wolves in lovely Dutch Country! 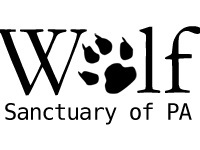 The Wolf Sanctuary of PA is a zoo in the heart of Pennsylvania, quietly secured on 80 acres of natural woodland. This is home to the Speedwell Wolves. For over 30 years, the Darlington Family has offered a home to wolves that have found themselves with no natural place in the world. Visitors can see the wolves by going on a guided tour through the woods. These tours happen daily and are walking tours, so every visitor should wear appropriate shoes! This is a great place to visit if you are looking for an interactive animal experience unlike anything you have seen before. A tour at the Wolf Sanctuary of PA may not be suitable for children under the age of 5 as to the physical nature of the tour; however, if you are looking for a great place to take your teenager, Wolf Sanctuary of PA is a perfect fit. This is a wonderful sanctuary built to protect the lives of these beautiful wolves. This is definitely one of the coolest zoos in PA. Wolf Sanctuary of PA offers memberships, and is in desperate need of meat donations, and volunteers. They maintain the well-being of the wolves only through generous support. Animaland Zoological Park, located in Wellsboro PA is beautiful 2-mile walk-through zoo that overlooks the Pennsylvania Grand Canyon. The park has exhibits on 11 acres, which are all handicapped accessible. Asphalt paves the way through the outdoor zoo exhibits with park benches along the way for resting. It takes about an hour to walk through the park. Visitors can even take photos with, pet, and feed the animals in certain areas. All visitors can explore the park at their own pace and our encouraged to take their time while taking in all the zoo has to offer. And if you get hungry, you can even grab a delicious snack at the Snack Barn. 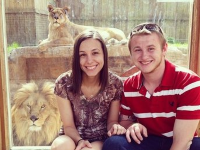 Animaland Zoological Park is a great family friendly zoo in PA! T&D’s Cats of the World is an animal refuge center that specializes in exotic felines and wildlife. The zoo, located in Central PA allows visitors to see the exotic felines from up to five feet away. The zoo’s main purpose is to nurture and care for these animals, but they also want to provide every visitor with an educational experience. They never want to exploit their animals, for that reason the zoo is open to visitors for only 40 days a year. Wheather you are looking for an educational experience for the entire family or maybe you want to book educational field trips for your students, than T&D’s cats of the World is a perfect fit. On the weekends during their season you can walk through and view the animals on your own. 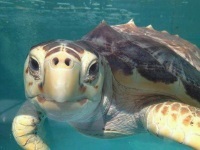 During the week you can book an educational tour and learn about these beautiful animals from a specialist tour guide. T&D’s Cats of the World is a great place to see how important the conservation and well-treatment of these animals is. Their commitment to their animals makes them one of the best zoos in PA.